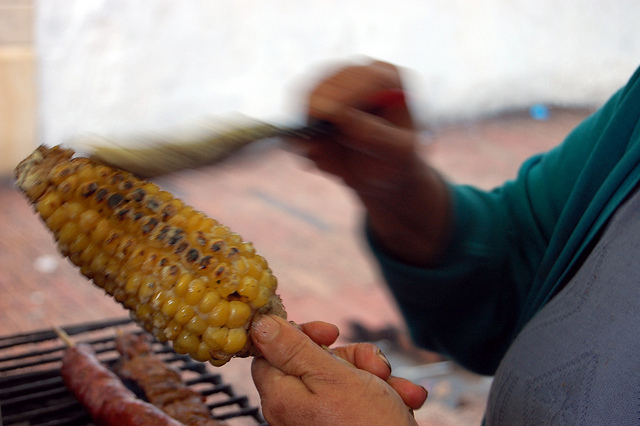 Corn has become a precious commodity this drought-stricken year and this summer I&apos;ve heard about an unusually high number of strangely labor-intensive methods for cooking it, even when it comes to my seasonal favorite preparation — grilling. I&apos;ve been told earnestly that grilled corn has to be shucked, brined overnight, air-dried, then carefully grilled for about an hour; or boiled in a court-bouillon for no less than ten minutes; or steamed stem-end down, tied with kitchen twine like asparagus, upright in a pot. It&apos;s as if all the cooking shows collectively overloaded people&apos;s common corn sense, making one of the simplest foods overwrought and complicated. 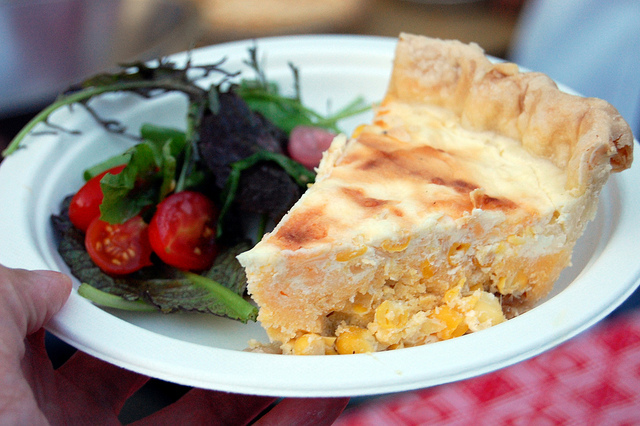 Sure you can take corn to new culinary heights; but are these efforts worth it? 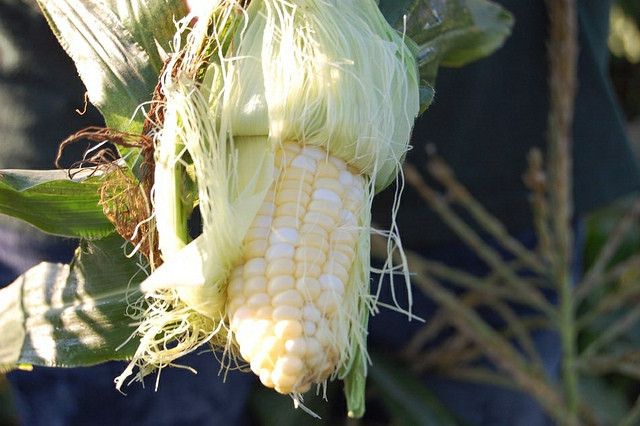 As I mentioned to my editor recently, corn silk is not only edible but a hot cheffy garnish. Cork silk tea has been considered a household remedy since the 19th century, according to Betty Fussell, author of The Story of Corn. I believe the chef-driven corn silk trend first dates back to 2008, when Grant Achatz used it at Alinea as an edible string. But you&apos;ll see corn silk fried now mostly, often as a nest, as beautifully detailed by Ideas in Food. Me, I like to eat fresh corn silk raw, like microgreens. And speaking of raw and corn, for a certain generation, or level of nerd, you can&apos;t help but think about the raw corn scene from the "geek-geist classic" film WarGames. And herein lies my problem. 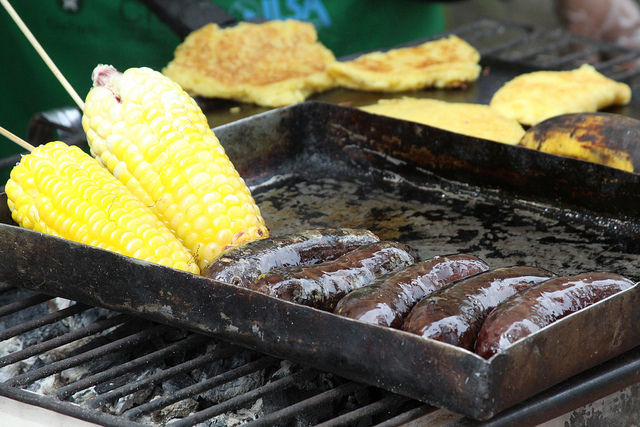 Around here we&apos;re talking about — and cooking and eating — modern American corn. And that&apos;s fine, with their crisp, sweet, juicy kernels. Whether raw in the field, liberally buttered and salted or new Alaskan style, I love it. But it&apos;s not the only corn in the New World. 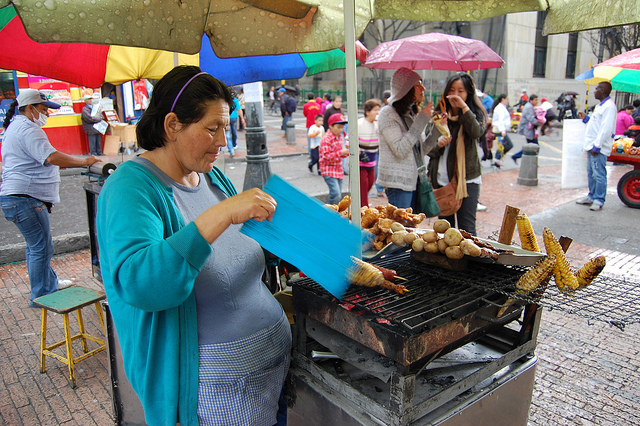 In fact, the corn I ate in Bogotá last fall is closer to our current field corn, used for feed or fuel, and like American corn a few generations back. 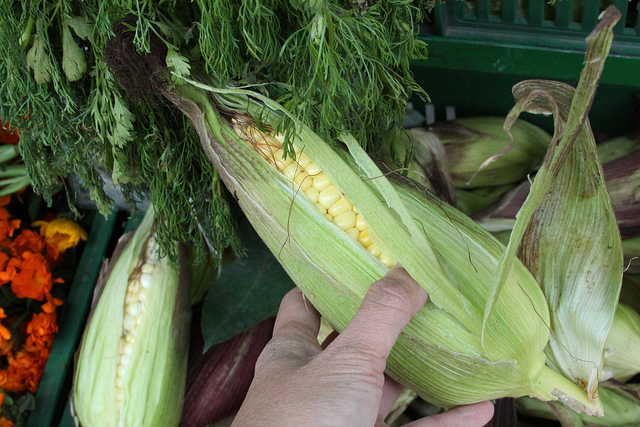 The kernels are bigger, chewier and more savory. They are a heartier meal, in and of themselves, on pizza and certainly with morcilla, the local blood sausage. 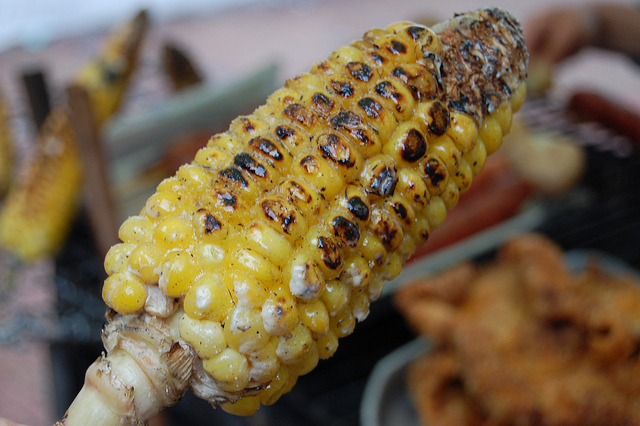 Mazorca is the name for the street food corn, grilled by vendors who furiously fan charcoal flames. They brush each sturdy kernel with butter before sprinkling salt. Not sweet or crisp, but smoky bite into a recent past. How do you cook corn? Well, according to this viral video, in the microwave, cleaning silks off and all. Or Fusell, who wrote the book, tells you how to cook perfect corn. But to me, there is no one way to cook anything. It depends on your taste, and your world.